Starting with a new company at a trade show is an excellent way to get to know the team, the products and better understand Synergy SKY customers. Infocomm itself is an interesting event because attendees are exposed to everything from sophisticated display technology to drones. Collaboration and unified communication having solid roots in the audio-visual space is an important part of the Infocomm experience. Successful execution at shows like this require planning, attention to detail and stamina. Thankfully the team had already done much of the heavy lifting and it was clear that all the preparation had paid off. I was eager to jump in and I was ready for the marathon ahead. The Synergy SKY booth was perfect. It was bright, well proportioned, easy to work and messaging was clear and concise. I was immediately struck at how quickly the booth was set up and operational. The team were perfectionists and I could easily relate. The booth seemed to spring to life almost instantly with demos just working out of the box. Additionally, after playing with the demo’s a little, I was instantly impressed at how Synergy SKY made joining meetings, controlling meetings and getting analytics about the underlying technology… so easy. The products spoke to me in terms of ease of use, but it also made me realize that Synergy SKY was solving issues countless organizations were struggling with. This was quickly confirmed by the many conversations I had with existing customers praising the solutions. 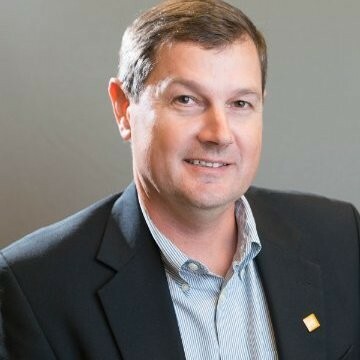 It was also rewarding to discuss with frustrated collaboration users searching for that elusive combination to unlock the promised benefits of Unified Communications. Although we were showcasing many products at the booth, it was very clear that the Synergy JOIN product struck an immediate cord with all. JOIN’s obvious simplicity delivered on the promise of an easy to use yet flexible solution for scheduled meetings. "It was also rewarding to discuss with frustrated collaboration users searching for that elusive combination to unlock the promised benefits of Unified Communications"
It’s clear that Synergy JOIN attracted much of the spotlight on the booth, but equally as impressive was Synergy Analyze (our analytics package) and the advanced showing of Synergy CONTROL. Customer response to the yet to be released Synergy CONTROL (due out in the fall of 2018) was overwhelming. 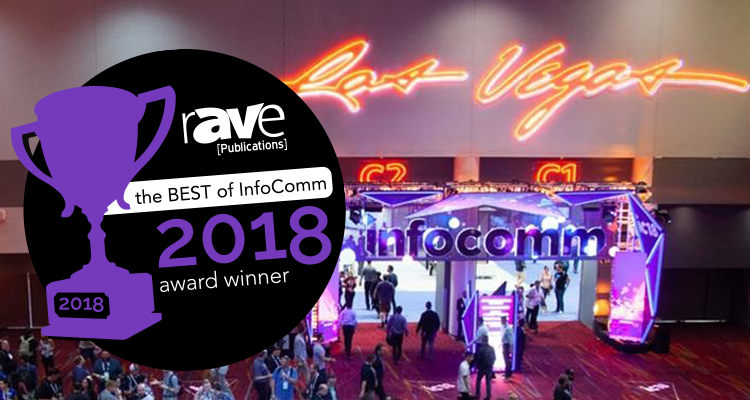 Although the industry is no stranger to white glove management tools, Synergy CONTROL’s straight forward take on managing complex multivendor environments resonated with Infocomm attendees. I was somewhat surprised at how people gravitated to the simplicity of the interface and the fact that the tool follows the entire meeting lifecycle from scheduling to termination and beyond. The product’s elegance is in its ability to provide visibility and control without layers of complexity. It’s easy and it gets the job done. Lastly, getting to know the team was by far the most rewarding aspect my introduction to Synergy SKY. Although I’ve known the team through reputation and dealings with mutual customers, it was another thing to get the inside view on what made the crew click individually and as a collective. It’s easy to understand why this group has been so successful. I’ve been blessed with having worked with remarkable organizations that achieve the impossible and I’ve become rather adept at reading group dynamics. There is a distinct pattern and the common thread is a shared vision, attention to detail, a sense of purpose, urgency and drive. To a person, everyone I met exemplified these qualities and is intrinsically on the same page when it comes to customer focus and the unrelenting pursuit of perfection. With my journey at Synergy SKY just beginning, I look forward to the road ahead. I’m a big fan of asking the question why?. My “Why?” revolves around people and product. People who are incredibly diverse but are single minded in their passion for excellence. I also admire products that are elegant, simple, solve painful problems and bring real value to their users. With a new home at Synergy SKY, I’ve found that and much more.